Luxembourg has confirmed its participation at Expo 2020 Dubai. The agreement was made at a meeting with HH Sheikh Ahmed Bin Saeed Al Maktoum, chairman of the Expo 2020 Dubai Higher Committee and chairman of Dubai Airports and Emirates Airline during a visit by the Deputy Prime Minister of Luxembourg, Etienne Schneider. This followed meetings on Sunday at the Expo 2020 Dubai site with HE Reem Al Hashimy, UAE Minister of State for International Cooperation and director general of Dubai Expo 2020 Bureau. This confirmation signifies the latest milestone in the longstanding relationship between Luxembourg and the UAE, and is the product of considerable discussion and engagement between the Expo 2020 and Luxembourg teams on participation. “Dubai is a place of connections – a point where the world meets. I warmly welcome Luxembourg, which today has become the latest nation to formally commit to take part. It now joins us in creating this global platform for collaboration. I look forward to strengthening our bilateral relations, as we work together on our preparations to host Expo 2020,” said Sheikh Ahmed. Deputy PM Schneider said he was “deeply impressed by the remarkable progress achieved on the exciting journey towards Expo 2020 Dubai”. “Luxembourg is fully committed to contributing its humble part to making this remarkable event a resounding success,” he said. HE Al Hashimy said the UAE looked forward to working closely with all stakeholders in Luxembourg as the country prepared for 2020 and to building a programme of engagement that would strengthen bilateral relations. 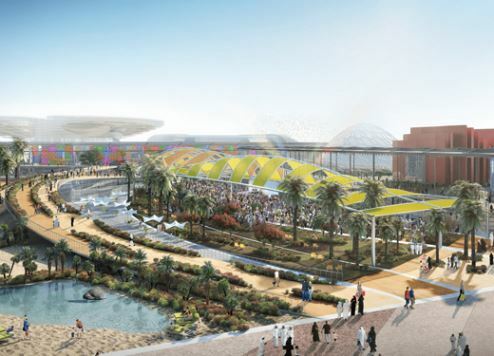 She revealed that to date, the Dubai Expo 2020 Bureau had received commitments from 70 countries worldwide. Luxembourg’s main themes for participation will focus on generating economic growth in a way that is sustainable and respectful. Luxembourg’s strong history in telecommunications and satellite operations reflects Expo 2020 Dubai’s sub-theme of ‘Mobility’, which will examine the creation of smarter and more productive connections, physically and virtually. Luxembourg and the UAE enjoy strong bilateral relations and a number of memoranda of understanding and cooperative agreements have been entered into between both countries in the areas of space exploration, financial services and non-oil trade. Other countries that have confirmed their participation at Expo 2020 Dubai are Slovenia and Switzerland. Dubai airline Emirates and telecommunications provider Etisalat are confirmed Premier Partners for the event.